Are you looking for home security? 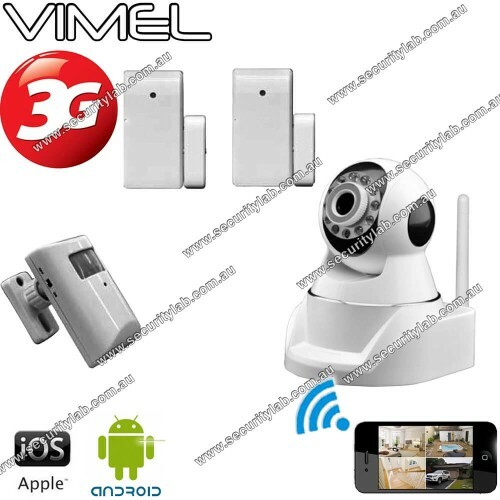 Don’t believe others, Indoor SIM card camera is the best choice for your home security. Enjoy your holidays without having any theft fear and this camera will lively show you all the things happen in your home. Stay relax and just watch it at any time and anywhere. The special feature of this camera is the PIR Sensor and door sensor. If it gets noticed any movement, then immediately starts recording video and also take photos. The 3G Security camera has the built-in speaker and MIC which help to record the video with clear sound. So you can also hear the minute sounds clear. You can also record the photos and videos with the time and date. So you can use it as best evidence. The SIM card camera is very easy to use, just insert the 3g sim and watch the live video anywhere and anytime. You can also get the immediate alerts with the snapshot to your mobile when the camera gets triggers. The specialty of this device, when compared to the other spy device, is having the sim card facility. This WIFI camera is mainly designed for both indoor and outdoor video surveillance. It has the specially made lens which captures the image and record videos at high-resolution up-to 1280 x 720. You can also view more than 64 cameras on your personal computer. The Night vision of the image looks like a daytime image, it has a glass lens, so it can take image clearly even in dark environment. So this is suitable for both indoor and outdoor. Don’t oscillate yourself, just buy and use this specially made product and make your home more secure. After installing this device, you can happily plan your holiday trip and enjoy without having any fear.